Yahoo is taking advantage of a loophole in the tax code to spin off its $40 billion stake in Chinese e-commerce giant Alibaba to shareholders without paying about $16 billion in corporate income tax. Plenty of chat this week about the implications of this move. Yahoo's stock price is now heavily correlated to Alibaba's performance, which is cause for concern as Alibaba’s fourth quarter revenues missed analysts’ expectations. The glass box is, of course, made out of taxes. If Yahoo sells the Alibaba shares, it will owe $16 billion in taxes, leaving only $24 billion of value left. If it takes the shares out of the box to give to its shareholders, it will also owe $16 billion in taxes. It needs to hand the Alibaba shares to its shareholders while they are still encased in the box. The way it plans to do this is to give the shareholders shares of "a newly formed independent registered investment company ('SpinCo')," which will in turn own Yahoo's Alibaba shares. 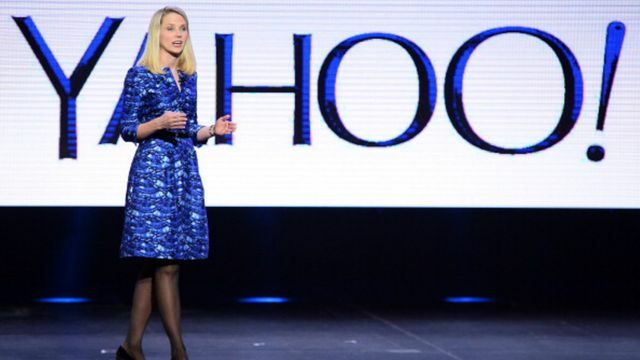 Yahoo's shareholders won't just get Alibaba shares and go on their merry way. They'll get SpinCo shares. Then what?